Namesake - The Stadium was never named for anyone. History - On April 2, 1926 the Board of Regents appropriated $16,500 to build an athletic field. At their June meeting the Regents agreed to pay $400 William Blewitt $400 for one acre to use as fill dirt and landscaping on the athletic field. 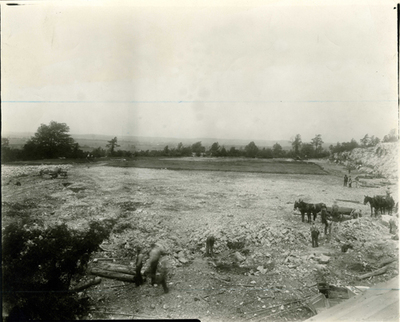 The Stadium replaced a limestone quarry on the northeast side of campus and seated 7,500. Lights were installed in 1946, and metal bleachers replaced wooden bleachers in 1963. Although the athletic field has been replaced by the Ivan Wilson Fine Arts center, the stadium seats continue to serve as an amphitheater.